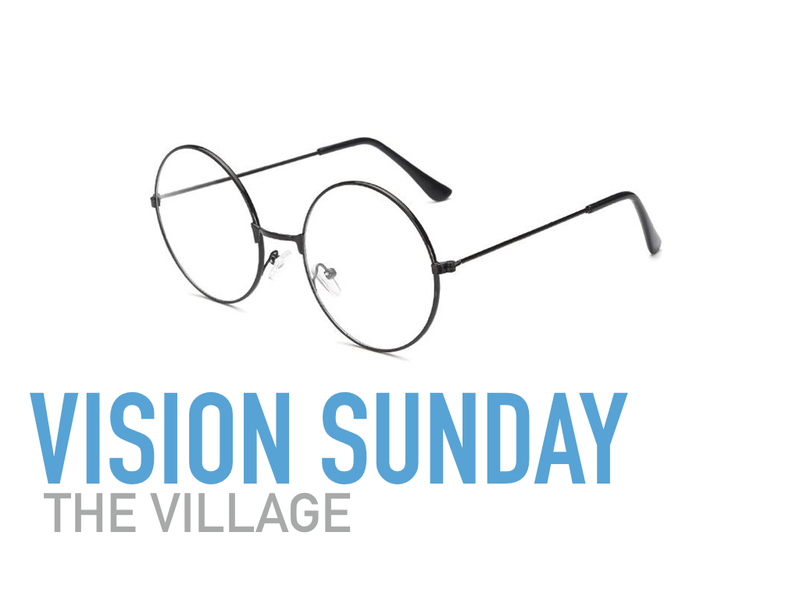 Welcome to Vision Sunday. This is exciting for a few reasons. We had enough vision to get where we are today. We continue to see the importance of clarifying vision as we move towards ‘what-else’ God has for us, as a community and as individuals. 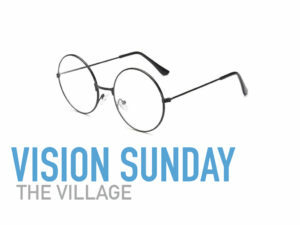 As a church or as a follower of Jesus, it’s not that we need glasses, but we do need direction and a visual path before us to help us walk where God wants us to walk and to do what God wants us to do. You may have heard (maybe) this verse from Proverbs. If there is one word that keeps coming to our hearts as leaders for this season, one word we want to keep in front of us, it’s this: GROW. Before we get to what that looks like here, let’s look at 1 Corinthians 3:5-9. Brothers and sisters, I could not address you as people who live by the Spirit but as people who are still worldly—mere infants in Christ. I gave you milk, not solid food, for you were not yet ready for it. Indeed, you are still not ready. You are still worldly. For since there is jealousy and quarrelling among you, are you not worldly? Are you not acting like mere humans? For when one says, “I follow Paul,” and another, “I follow Apollos,” are you not mere human beings? Be changed, Live differently, Discover God’s best…mature, loving, community minded, etc. That is where the conflict in this early church came from – a lack of maturity. What, after all, is Apollos? And what is Paul? Only servants, through whom you came to believe—as the Lord has assigned to each his task. I planted the seed, Apollos watered it, but God has been making it grow. So neither the one who plants nor the one who waters is anything, but only God, who makes things grow. The one who plants and the one who waters have one purpose, and they will each be rewarded according to their own labour. For we are co-workers in God’s service; you are God’s field, God’s building. This early church is having a bit of a spat about who’s more important. They’re putting either Paul or Apollos on a pedestal they were never meant to be on. Paul is, from what we know, the key figure in this church plant, but Apollos had a part to play as well. He may have taught a few things, led a few things, encouraged a group of people. Everybody has a part to play, but God is the one who brings it all together. Every person in a Jesus community offers something of value, but God holds it together – God leads us forward. The language or words he uses are: Watering, Planting & Growing. 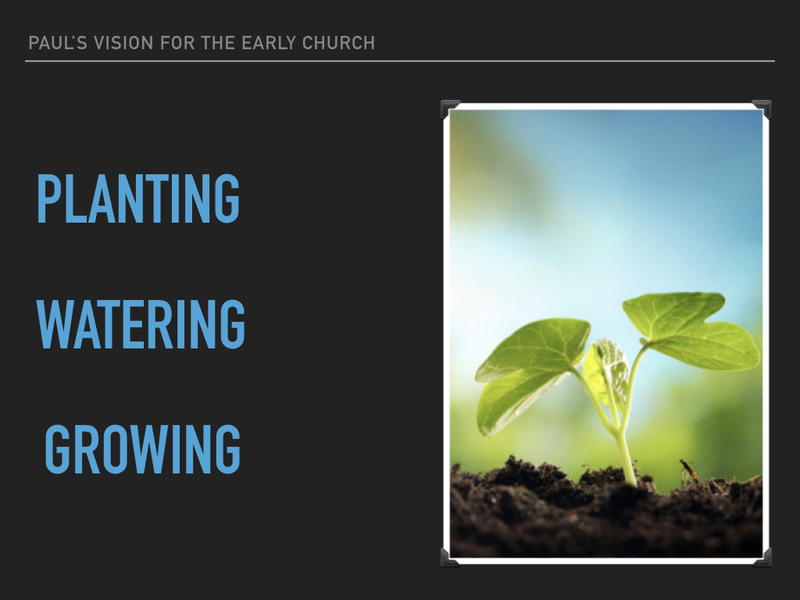 Paul is setting out…presenting if you will…a vision…for community…for a healthy community…for a healthy church community. It’s not about one person, but all people. It is however, about one God. We play our part, and God does the rest. a bit of a mystery isn’t it? Trust God is working behind the scenes, making things grow, and one day we’ll say, “wow, look what God did”. We are God’s field, God’s building, he’s the one who brings it all together. Things won’t grow without planting. Things won’t grow without watering. Things won’t grow without God. Every part of what Paul is saying is important. 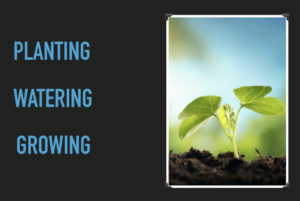 How do we want to grow? Glad you asked! we are the answer to our prayers…God uses us to bring the healing, helping, restoring that we are praying for. Coffee shops, living rooms, back yards, restaurants, etc. I started a garden a couple of years ago. This summer we were overwhelmed with tomatoes. We had so many that we were looking for ways to give them away. We were able to generous in this way for one simple reason. We planted something. We watered that something. And, what do you know, it grew. In 2019, we want us to focus on Paul’s vision for growth…and make it our own. If we do this, we’ll be able to look back and say WOW, look at what God did!! !